Who is this mysterious person? A new boss being set up for a possible second season, it seems. 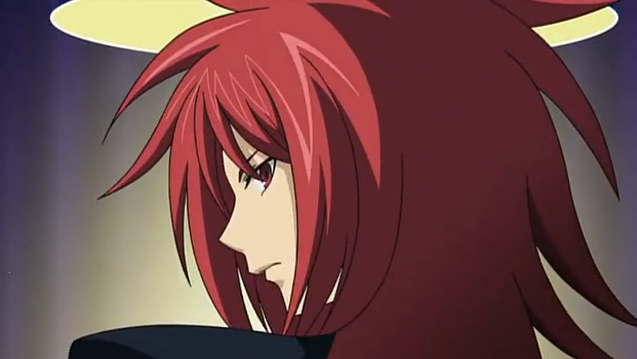 Episode 23 of Cardfight!! Vanguard brings us back to cardshop PSY. I had been looking forward to this ever since Ultra Rare appeared at the opening of the Kanto regional tournament. I had been hoping for clarification of some of the weird hints that have been infrequently dropped throughout the series that there is more to Vanguard than a card game. In addition a new character is introduced, and we witness a pretty interesting match. 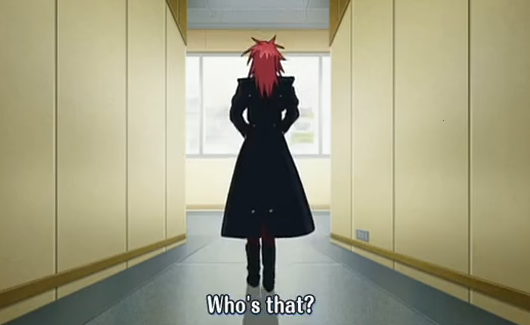 The mysterious stranger: Ren Suzugamori. 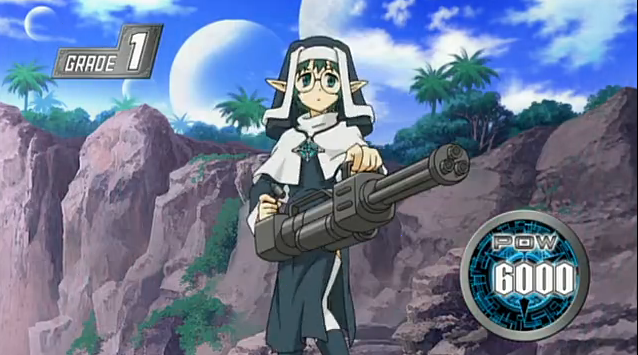 There was a question on, LuRa’s Anime Blog, about whether this new character would be male or female. It can now be said definitively that he is male, but I can certainly see why there was some confusion. Personally Ren’s character design reminds me of Priss from Bubblegum Crisis Tokyo 2040. Well, I see a resemblance. They both have similar personalities as well. I wonder if Ren is also a rock star. Anyways, this gives me an opportunity to link to the OP for the Tokyo 2040 remake of Bubblegum Crisis. 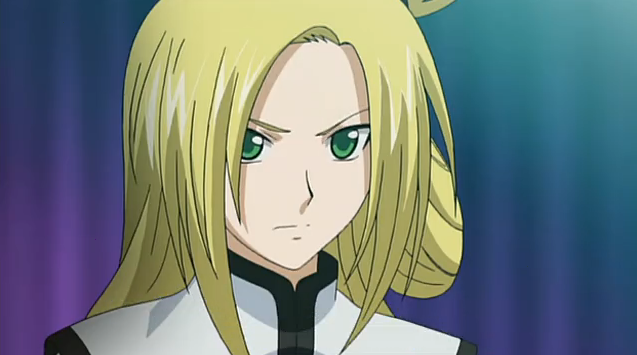 Ren is a member of the reigning National Vanguard champion team. Team Q4 (minus Kai) meet him at cardshop PSY, where he has been summoned by Ultra Rare for a Vanguard fight. The purpose of the match seems to be to test Ren’s abilities. His opponent will be Ultra Rare member Kourin. 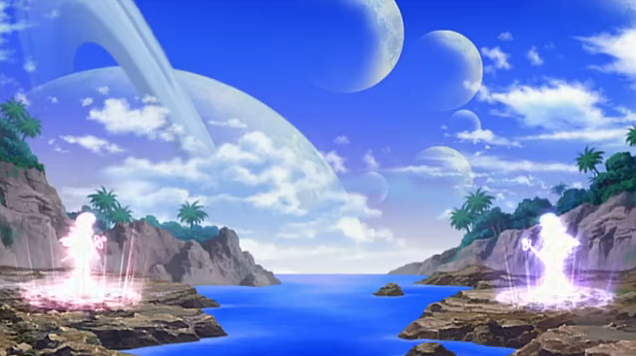 Kourin. Resident Vanguard champion at cardshop PSY. In order to test Ren’s abilities, he is given a Vanguard deck to play with. This is the first time that we have seen a fight with two identical decks. In the past we have seen opponents using decks with the same themes, but the decks could be composed differently by changing the proportion of cards (e.g. ratio of level 1 to level 2, or the exact number of some specific card). This time they each have the exact same deck, not just decks of the same theme. I think this card was called the Chocolate Nun, or something. The theme this time was all female cards, so the various cards were fairies, mermaids, and, yes, nuns. Even though many cards from deck to deck have similar capabilities, it is pretty entertaining to see the different themes, which result in varied battle scenes, despite a very similar underlying mechanic. Arguably the most interesting reveal of the episode was that Aichi is transported to Planet Kray just by watching Ren look through his cards. As I mentioned last week, there have been hints throughout the series that Vanguard is more than just a game, and PSY seems to be at the heart of the ultimate mystery. Because Kai has stressed the importance of imagination, and the shop is named PSY, I am guessing this special something is related to ESP-like qualities in the players. 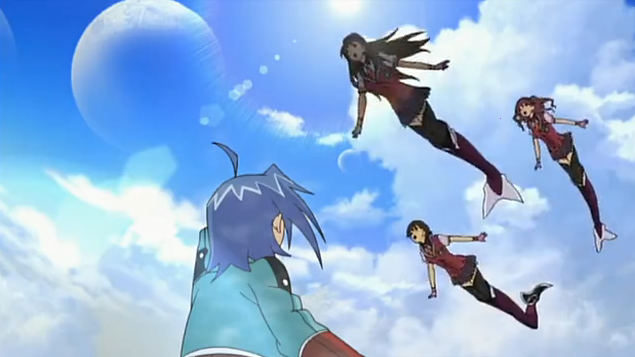 Aichi certainly exhibited some kind of esper ability, since his vision of the three mermaids turned out to be a premonition of the crucial card that Ren used to win the match. Next week is the Final Turn! It’s a very feminine design. It is possible that it is a reverse trap, but I think I saw a line (in the subs at least) that indicated it was a male. And welcome! eh, whatever. Pretty enough, and when the lights turn out, no one will notice right right? Yeah I’ll go back to lurking now. Well, according to ANN, it is slated for 24 episodes. The way they set it up, they could easily do a second season, or an OVA, but I haven’t seen any news about one having been announced. Hmmm… one some other websites I checked it doesn’t say 24 episodes, says nothing actually. It won’t end at 24 episodes, i’m 80% sure, there’s too much up in the air and I don’t think they’ll want to put a second season. I believe it’ll just continue. I guess we will know for sure shortly. They certainly can continue the story with the National Tournament at the least. Especially since they have already built up the National champ. Lol this is kinda rare. Someone’s actually watching this show; yet alone blogging it. Haha that’s kinda cool.